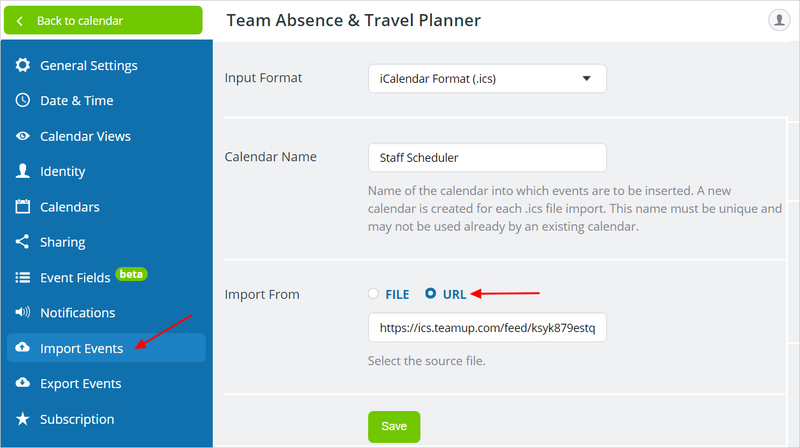 It is possible to import (one-time move) calendar data from one Teamup Calendar (“Calendar A”) to another Teamup Calendar (“Calendar B”). To do so, you need at least read-only access to Calendar A, and administrator access to Calendar B. 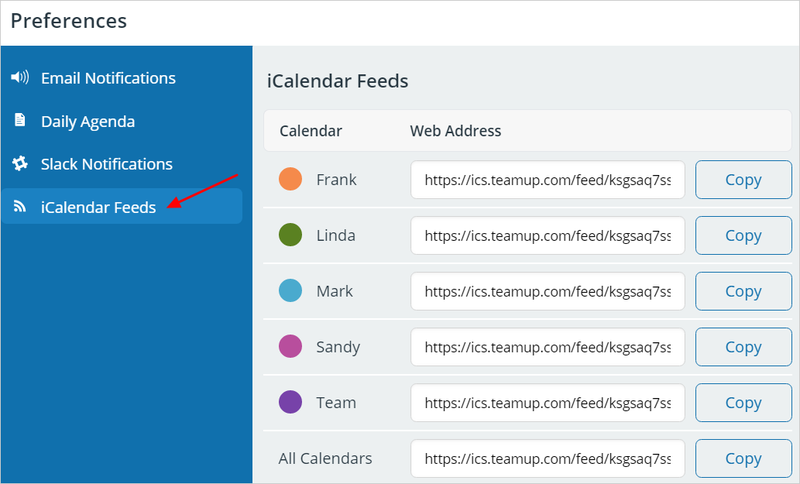 For information on setting up an ongoing feed from one Teamup Calendar to another, see this article. 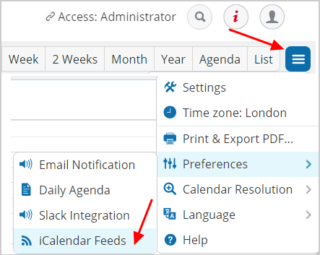 Locate the iCalendar feed URL from Calendar A, by clicking the blue menu icon in the top right corner of the calendar. Click Preferences > iCalendar Feeds. Find the feed URL for the sub-calendar you wish to import data from, then copy the feed URL as shown below. Access Calendar B with the administrator link. Go to Settings> Import Events. Save and go back to your calendar view to confirm that the data has been successfully imported. Importing from one feed URL of Calendar A will add a new sub-calendar to Calendar B. If you use the feed URL for all sub-calendars of Calendar A, all data on all sub-calendars of Calendar A will appear on one sub-calendar on Calendar B. This method can also be used should you wish to merge two Teamup Calendars. Note that this process results in a one-time import of data. It does not initiate an ongoing sync or iCalendar feed. For more help with setting up an ongoing iCalendar feed, see this post.